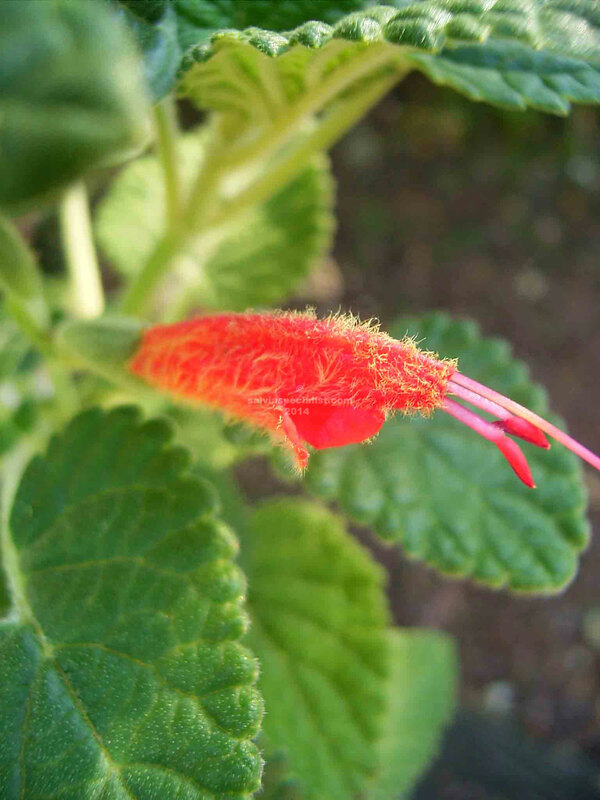 This is an attractive smallish evergreen salvia. I don’t think it would ever get over a metre. The flowers are orange with hairs that have gold tips. Old stems that have flowered could be cut to the base maybe late summer. It will frost burn but I have never tried it in a number of spots to see how tender it is. This plant was originally introduced in 1998 as oppositiflora which is now applied to a different plant. There is also a plant called tubifera so you need to get your spelling right! Confusion comes with name changes and I have to think out the name very carefully. I only have a few of this plant so please don’t order it unless you really want it.